Subscribe to Dairy Foods RSS Feed! 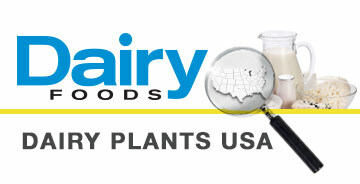 Keep up to date on the latest news and information posted to DairyFoods.com with our RSS feed. Stay current with news and opinions about the dairy processing industry. The weekly free-standing insert report tracks dairy promotional activities. Leading executives in the dairy industry share insights with the Dairy Foods editorial team in these downloadable podcasts. Formulas and market trend information about cocoa, chocolate and chocolate substitutes in dairy foods. Colors, flavors used as Ingredients in the formulation of dairy products. Cultures, enzymes, acidulants used in the development of dairy foods. Fiber ingredients used in the formulation of dairy products. Nuts, spices, candies and other inclusions used in ice cream, yogurt and other dairy products. Omegas, lipids, fatty acids for the formulation of dairy foods. Prebiotic cultures for use in the formulation of yogurts and other cultured and noncultured dairy products. Probiotic cultures for use in the formulation of yogurts and other cultured and noncultured dairy products. Sugar, fructose, corn syrup and other natural and manmade sweeteners used by developers of dairy products. Texturants used in the formulation of dairy products. Ingredients used to formulate dairy foods and consumer and market trend information. Primary and secondary packaging materials and equipment. Regulatory updates and best practices in food processing and handling. Announcements about mergers, acquistions, personnel changes and new products from those who supply the dairy processing industry. The dairy industry's brightest minds share their expert opinion and advice. 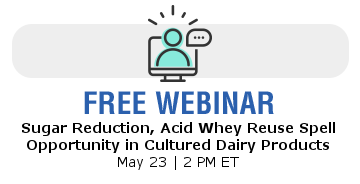 Keep up to date with the latest tradeshows, symposia and webinars geared to the dairy processing industry. Case studies about dairy processors using equipment and ingredients. Marketing messages from suppliers, including those engaged in engineering, packaging, food science and food safety. Dairy Foods' exclusive list of North America's largest processors of dairy foods. View the top Dairy 100 list. Fill out the Dairy 100 submission form. Monthly infographics from Dairy Foods. These announcements about dairy processing equipment, packaging systems, lab tests and equipment, and ingredients for dairy foods and beverages are written and sponsored by the manufacturers.